Before high water and before low water, the bank was stable for many years. It was shady with huge hemlocks, white pine and cedars overhanging the water. Before fire and development, impenetrable thickets lined the shores and teemed with fish and fur. Breezes cooled by patches of snow rippled Portage Lake until June. A winding creek emerged as the forest gave way to dunes. All the spring water from the Lake and uplands were contained in that fast flowing creek. The shifting sand of the dunes, currents and waves mixed with the flow of Portage Creek always. On Sunday, May 7th, 1871, the neighbors of Portage Lake gathered in the morning. The night before they had a big party and dance on Portage Point. 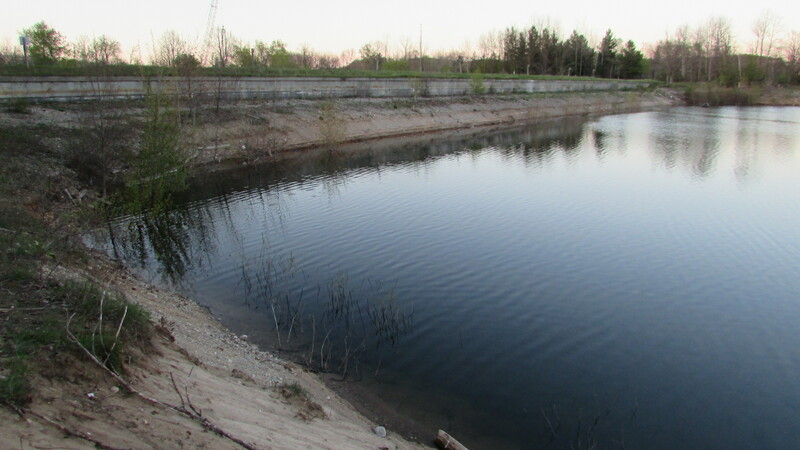 The farmers had completed a narrow ditch that ran from Portage Lake to Lake Michigan. They did not know what would happen when the water started to flow. An ox moved a log that held the water of Portage Lake back. They were shocked at what they had done on that Sunday morning. 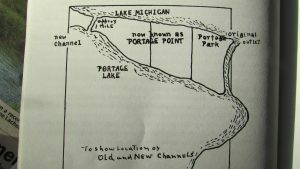 New channel of Portage Lake to Lake Michigan. Image courtesy of the author, August 2016. The flow grew and grew. Soon the power and weight of the water became apparent. 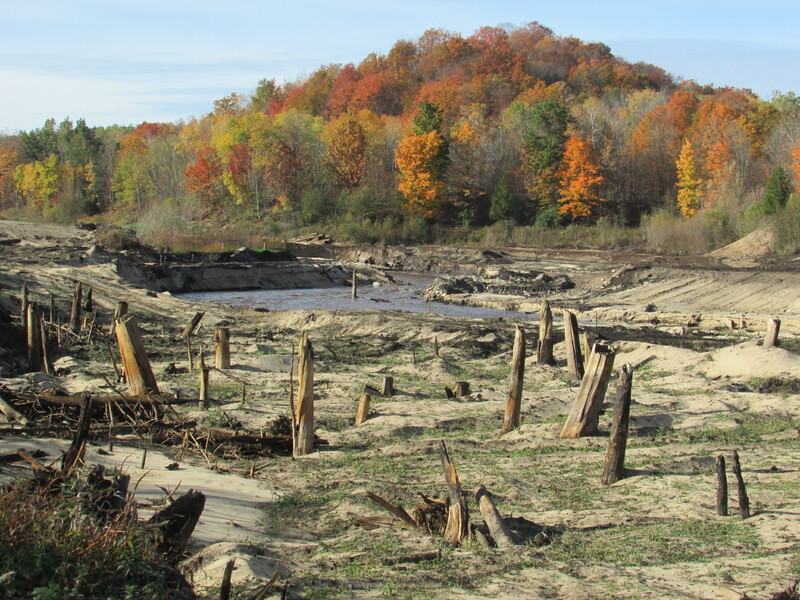 An entire forest was swept out into the big lake. 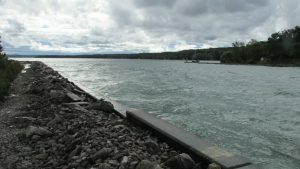 Some worried that Portage Lake would drain away completely. It did not, but hundreds of fish were left on the wide new shore flopping about. Many witnessed a forest of trees floating miles out in Lake Michigan. 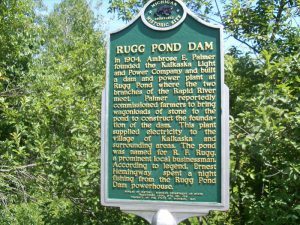 Just what this event would mean for the farmers around Portage Lake and the mill on Portage Creek would soon become apparent and is still talked about. 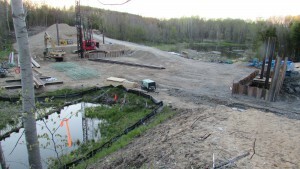 The controversy over land use on Portage Lake continues today. At a recent Onekama Township town hall meeting, plans for the historic Portage Point Inn were presented by the Inn’s new owners. The Inn has stood on dunes of sand between Portage Lake and Lake Michigan since 1903. The survival of the historic hotel is certainly a major concern, as well as the results of unchecked development. 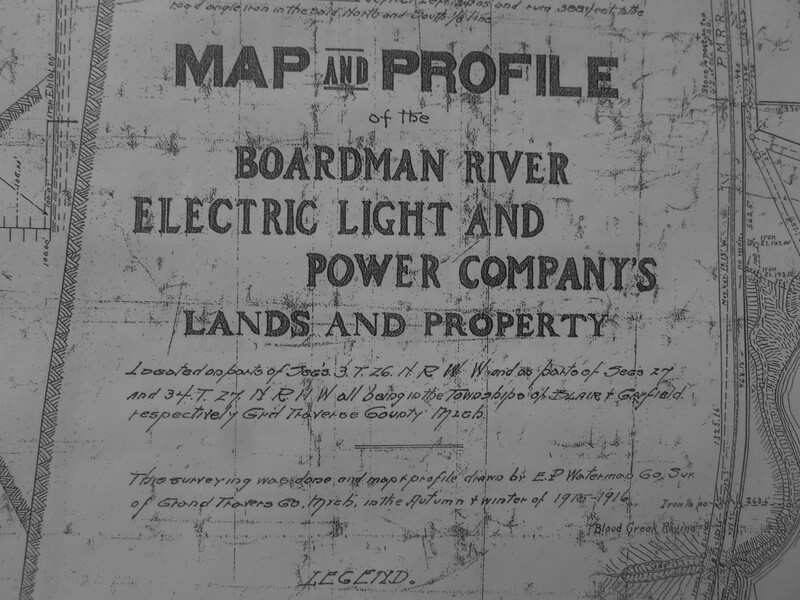 The development of Portage Point began with a survey of the dunes between Portage Lake and Lake Michigan in 1837. 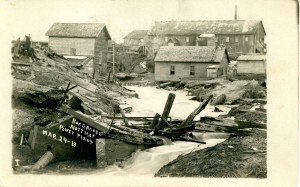 At that time, the level of Portage Lake was much higher. Joseph Stronach started building the dam and mill at Portage Creek in 1845. 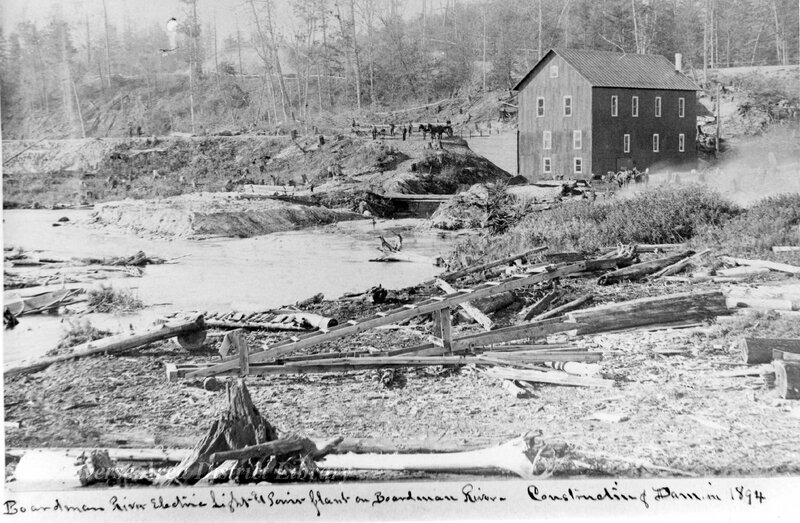 Thick cedar groves covered the main street of Onekama before there was a main street. 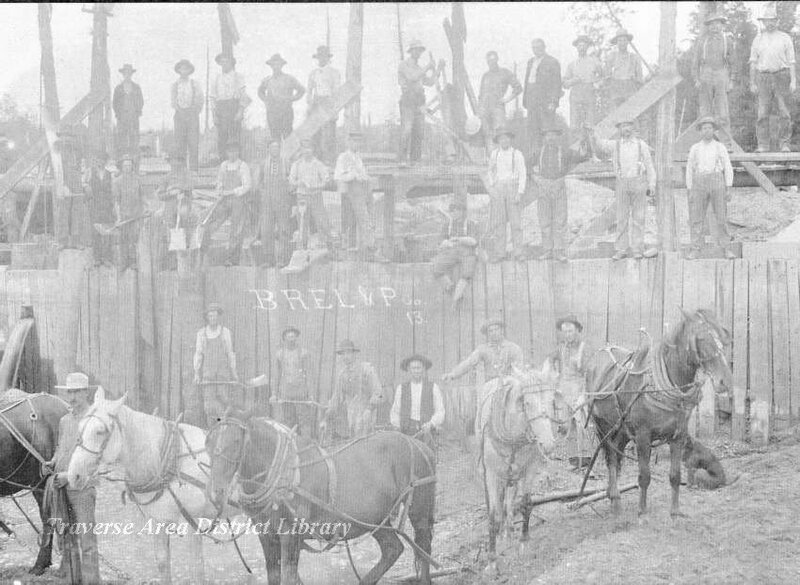 As the population grew, land use changed from logging to farming, causing strife among neighbors. Things came to a head in 1871. The mill was sold to Porter Bates in 1866. General Grant, Speed, Sea Gem and Dall were schooners that stopped at the Portage Pier. 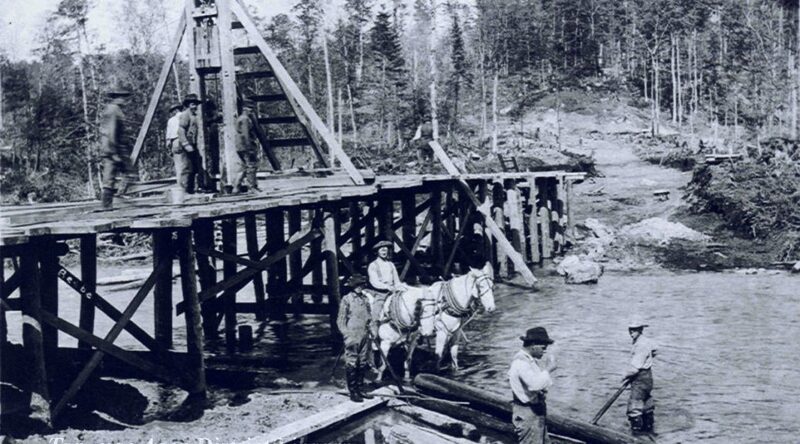 Porter and Company controlled the pier which was at the mouth of “Portage Creek.” Access to the vessels that sailed along the coast of Lake Michigan was key to trade. Porter charged a heavy toll to anyone wanting to ship lumber, tanbark (bark from trees used to tan leather, usually oak or hemlock), or farm produce to the wider market. 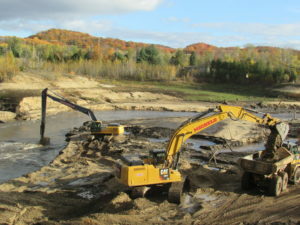 Amos Pierce, who owned sixty acres on the South end of Portage Lake, would not take payment for the flooding of his land. In March of 1867 Pierce told Bates: “a lot of us would come down and tear his dam down and he said if we did he would shoot us.” (Chaney, Story of Portage). 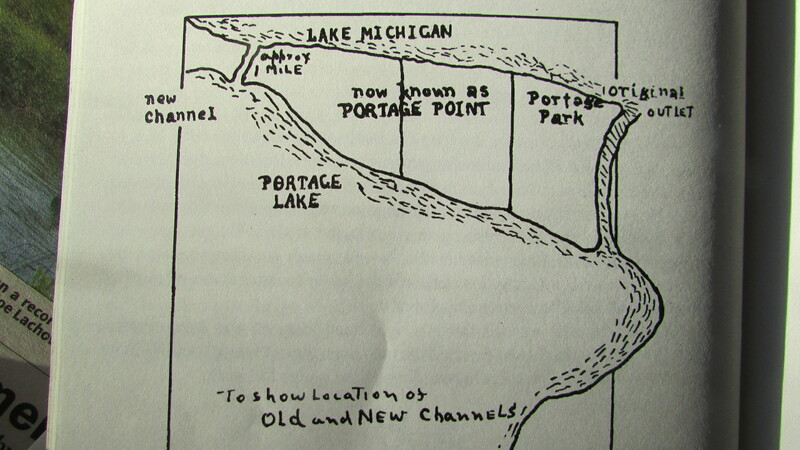 Map from “Story of Portage,” showing the location of the old and new channels to Lake Michigan. 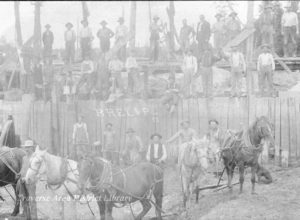 Pierce and other rogue farmers were jailed for digging a new channel from Portage Lake to Lake Michigan. While Pierce was in jail others took over. 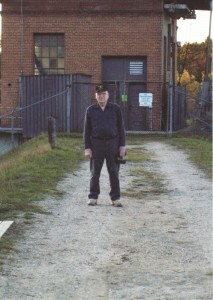 When they were put in jail and Pierce was released, he carried on digging the channel. 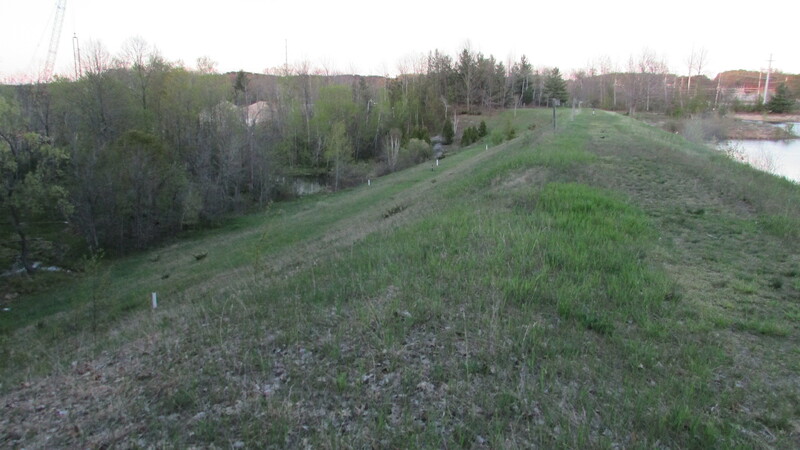 What they dug was narrow and was held back by one log… the log that was pulled away by one ox on Sunday, May 7, 1871. This controversy over land use was solved by collective action after the dance that Sunday. The rogue farmers opened a channel from Portage Lake to Lake Michigan about a mile south of Porter Mill. The water of Portage Lake rushed into Lake Michigan creating a channel 300 feet wide and 18 feet deep. Fish from the inland lake mixed with their big lake cousins that they had not seen for centuries. Some were left stranded and were scooped up in buckets. 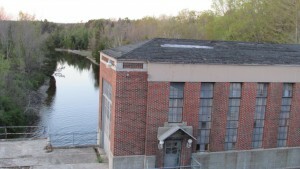 Porter Mill was left high and dry as Portage Lake fell to the level of Lake Michigan. 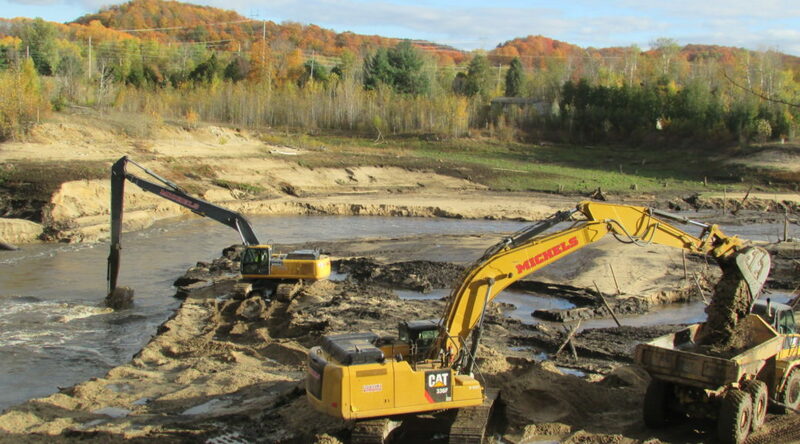 The dam was no longer able to control the waters of Portage Lake. With no falling water the mechanism of the mill could not operate. The farmers had won by guaranteeing low water levels in Portage Lake. 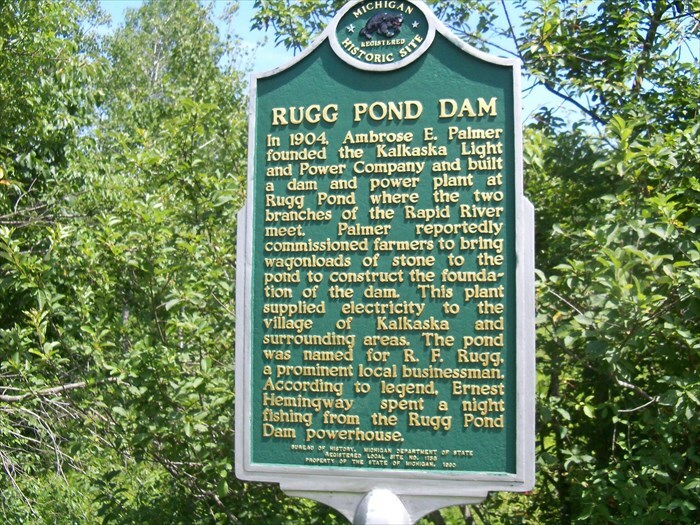 In addition, trade was no longer restricted to the small Portage Creek and the pier on the Lake Michigan shore. 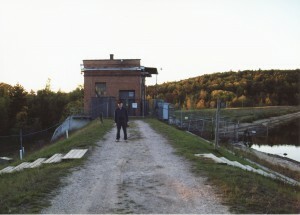 In fact, “Portage Creek” ceased to exist. The tug Williams made the first entrance into Portage Lake. She was hailed by the waving of hats and handkerchiefs, and loud hurrahs and firing of guns. 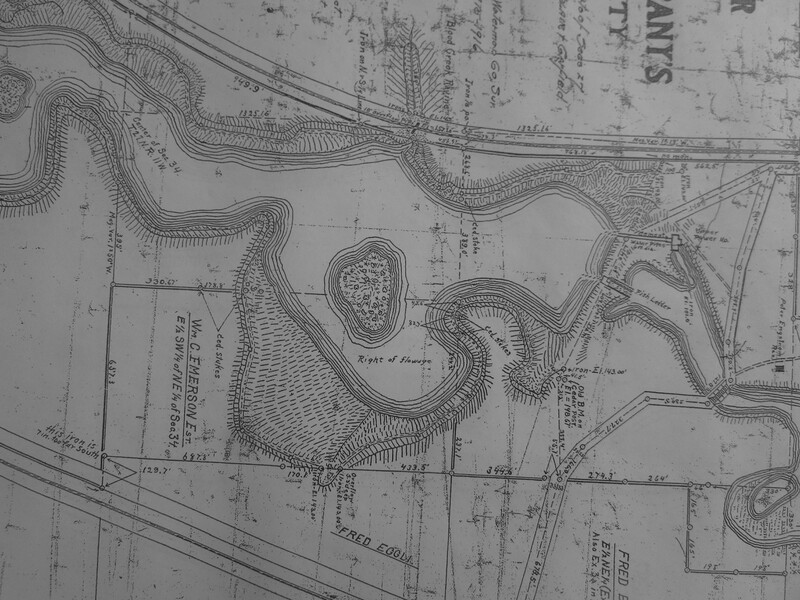 The original settlement at Portage Park was largely abandoned. 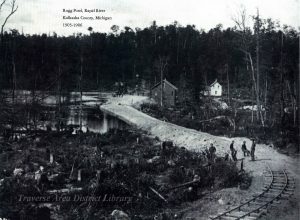 The new Post Office was moved to the Northeast section of the lake because many points along the shore of Portage Lake were open to trade. 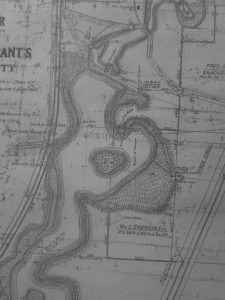 The flow of development was redirected to the East end of the Lake when the flow of Portage Creek was redirected to the South end of the Lake. Portgage Point Inn. Image courtesy of the author, August 2016. It was standing room only July 7th, 2016, at the Onekama fire house as plans for the historic Portage Point Inn were presented by the Inn’s new owners. 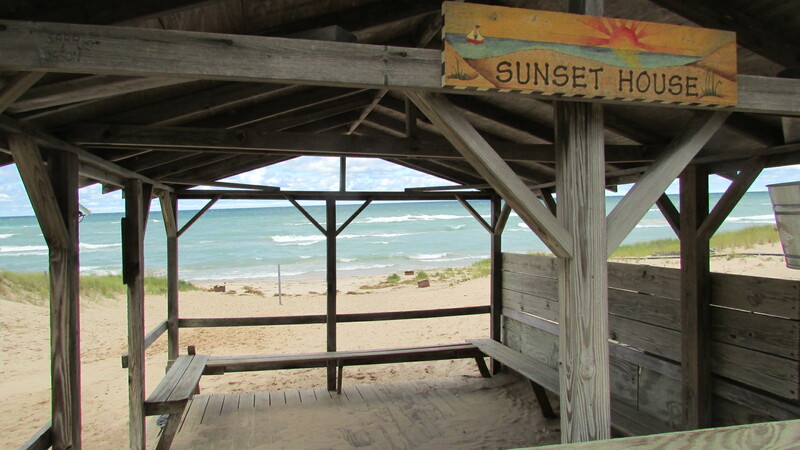 The Inn has stood on dunes of sand between Portage Lake and Lake Michigan since 1903. Many Portage Point cottagers worried about the preservation of the historic hotel, others that they would all be swept away by a rush of development. Opinions were expressed to Onekama Township officials regarding developments on the sleepy Portage Point. 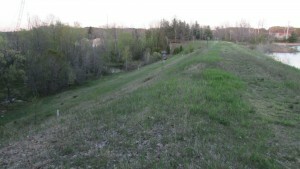 The Onekama Township Planning Commission considered amendments to a special use permit this summer. The amendments would accommodate changes to the Portage Point Inn and surroundings, as the new owner would like to reopen the historic Inn, which has fallen into disrepair. The Inn was last open in 2012. The Portage Point Assembly was originally incorporated in 1902 under State Legislation that encouraged the building of hotels and clubhouses. The Assembly was also charged with “preventing and probation of vice and immorality”. 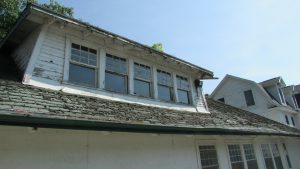 The Casino at Portage Point Inn sits behind the Inn proper, and has fallen into disrepair. Image courtesy of the author, August 2016. Construction on the Portage Point Inn began in 1902. The Inn and the “casino” were the centers of activity for cottagers for many years. Vacationers traveled on the Puritan which passed through the channel once a week and stopped at the dock in front of the Inn. Fond memories abound. In addition to obvious renovations, there needs to be an upgrade to the sewer capacity. Other requested changes include plans for forty additional boat slips and a gas dock. There would be capacity to haul large boats and store them nearby. Changes would be made to public access to Portage Lake, and a public fishing dock would be built. The Sunset House marks the place where the pier once stood. Image courtesy of the author, August 2016. The historic stream bed of Portage Creek winds through the lively ghost town of Old Portage. The Sunset house at the end of Lake Isle marks the place the pier once bustled with activity. 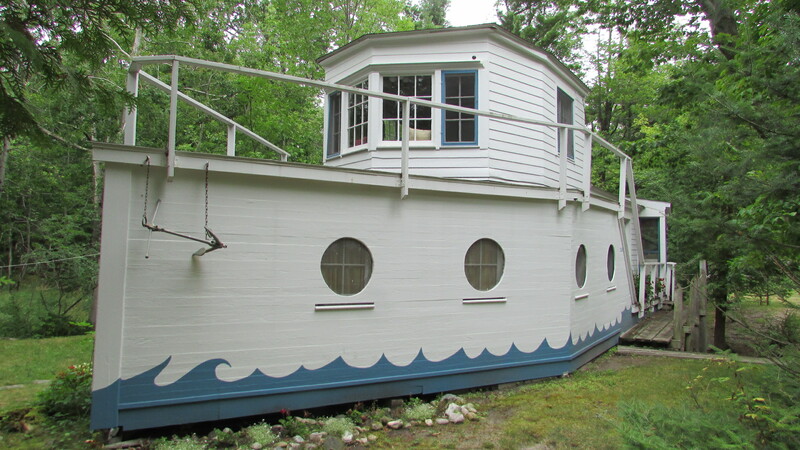 The “boat house” is on the bank that overlooks a tiny pond that was once Portage Creek. 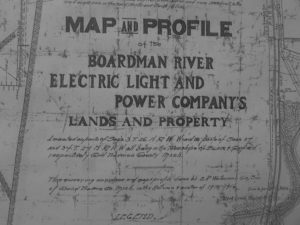 Cottagers have a long history with each other as well as the place. 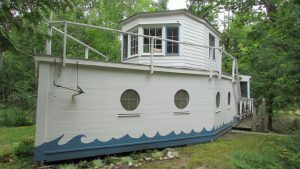 The “Boat House” is on Lake Isle Street and rests on the bank of what once was Portage Creek which was the original outlet of Portage Lake to Lake Michigan. Image courtesy of the author, August 2016. 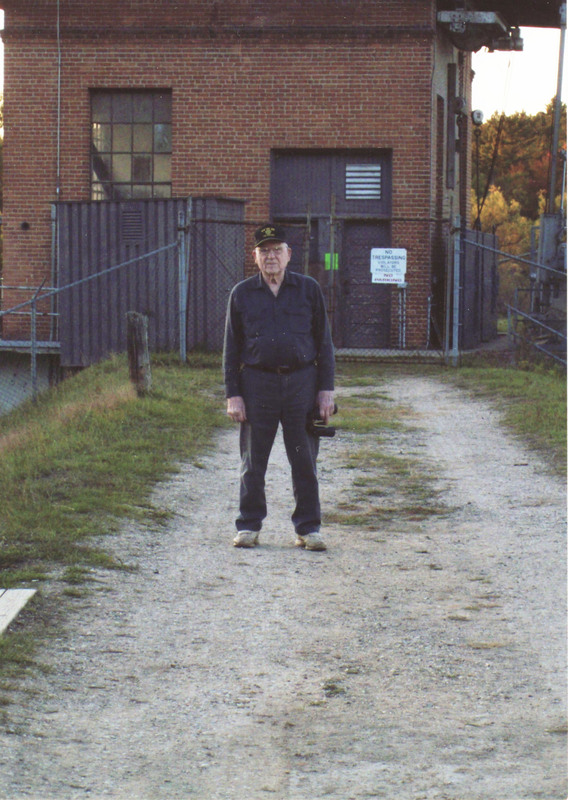 Amos Pierce and his rogue bands of militant farmers are long gone, but the channel they created from Lake Michigan to Portage Lake remains. The concrete walls stabilize the shifting sand but currents and high energy waves deposit sand during the long winter. The water of the “freshet” called Portage Creek now flows through the navigation channel and still mixes with the waves of Lake Michigan. Current residents of Old Portage have been isolated. With hundreds of square miles of open water to the west and thousands of acres of National Forest to the east, Portage Point is on the way to nowhere. Not like it used to be. It was a destination and origin of raspberries and pickles that made the overnight trip to Chicago market on the Puritan. Like the controversy of 1871, changes facing the community on the dune between Lake Michigan and Portage Lake came to a head… but this time, there were no threats of violence and all firearms were concealed. Thanks to Portage Point resident Tom Gerhardt for sharing his knowledge with us, and providing details and dates.